• Metals and non-metals, including plastics, can be machined regardless of hardness or brittleness. • Lasers drill difficult-to-reach areas. • Heat-treated materials preserve their properties. • Lasers work in almost any environment, including magnetic fields. • Laser cutting produces minimal distortion. • Complex profile cutting is possible for both thin and hard materials. • Lasers create fine or minute holes. There are many types of laser cutting configurations, featuring control in both two and three dimensions. It is important to find a supplier whose equipment, skills, experience, schedule, and supplemental services match your project requirements. 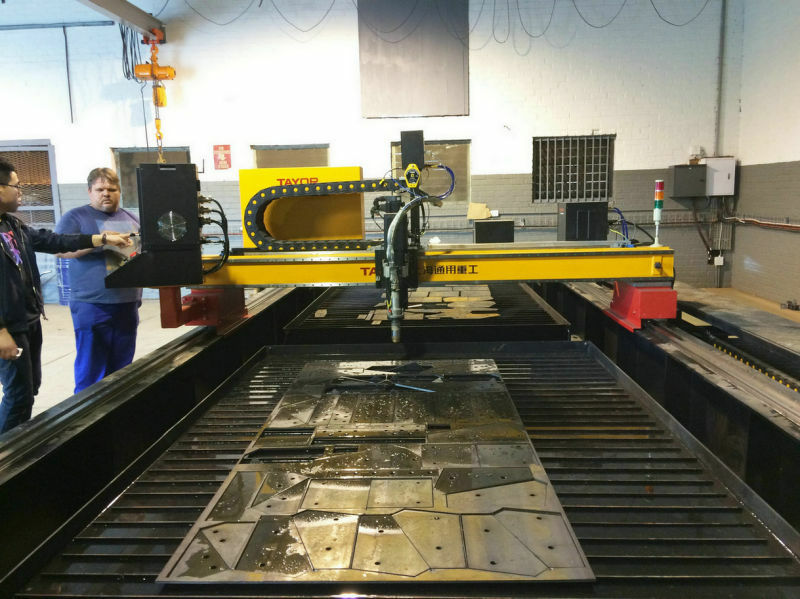 The businesses cited in this article exemplify different aspects to consider in choosing a laser cutting service. • 2D lasers, effective for short lead time and prototyping. • 3D lasers, capable of almost any configuration to produce clean cuts and smooth edges. • Tube lasers which can drill holes in tubes up to 27.5 feet, and of any shape. JD employs an Adige programming system which allows quicker preparation and visualization of components, enabling a project to be taken from start to finish. If your business produces large parts requiring multiple cutting or drilling operations, explore a manufacturer such as Merbeth Metal Products, in Pewaukee, Wisconsin. The company is capable of dealing with a large variety of materials from 0.001" shim stock to 0.75" plate. They feature a Mazak Laser Systems Super Turbo X 510 Mark II, which can integrate up to four machines. This system is particularly effective for large parts, performing multiple operations including drilling holes, and circular cuts at several locations with one pass of the part through the computer-operated modules. For businesses requiring high volume output of punched metal parts, Multi-Metal operates a 50,000 square foot facility with over 100 employees in Rockwall, Texas with laser lines that are dedicated to punching. They feature two laser systems, an EMLK 3510 NT purchased in 2012 and EMLK 3610 NT purchased in 2014. Use of one or both of these lines can fill high production needs. When very high throughput, versatile manufacturing is required, you might consider a company such as Owen Industries in Iowa and South Dakota. Owen utilizes Trumpf Laser Systems. These machines feature RapidCut, with high feed rate, even in small contours. RapidCut allows shorter processing time for a large range of tubes and profiles. For a one-of-a-kind part or a large production run, these automated lines operate at any time of day without requiring supervision. For agricultural projects, De Jong Manufacturing has earned multiple awards partnering with John Deere. Located in New Sharon, Iowa, De Jong can process sheets up to 79" by 157', can perform rotary axis tube cutting, and thick plate rapid continuous piercing. Its equipment handles thicknesses of metal up to 1.00" for steel, 0.500" for stainless steel, and 0.375" for aluminum. For metals difficult to machine, Key Laser Technologies in Hinckley, Ohio should be considered. Alloys including inconel and hastelloy, up to 0.1875" can be machined. Key Laser cuts titanium as well as mild steel, stainless steel, and aluminum. A 4,000 watt Trumpf 3030 laser with pallet changer is used for large production runs, and a 4,000 watt Trumpf 2530 laser Y plus axis and power ramping is employed for executing hole intensive jobs. If you need plastic or wood laser cut, California-based Laser Tech could fulfill your company's production requirements. On Laser Tech's 60" x 120" cutting tables, steel, stainless steel, aluminum, copper, brass, titanium, inconel, monel, many plastics, and wood can be cut up to a thickness of 0.75". The employment of fiber lasers minimizes both lead time and cost. As illustrated by the range of capabilities in the companies highlighted above, a good laser cutting service is highly specific to the needs of your project. Taking into account the materials to be cut, the size and configuration of parts, and the operations to be performed, are all vital to making a choice that will lead to the highest rates of production and the best outcome. IndustryNet is a one-stop resource for all of your industrial supply needs, providing information on 400,000 U.S. manufactures as well as suppliers of 10,000+ industrial products and services. To connect with the companies that provide laser cutting services near you, start your free search on IndustryNet. Here, you can request a quote, contact a company directly, connect on social media, obtain a list of industrial suppliers in your area, and more. 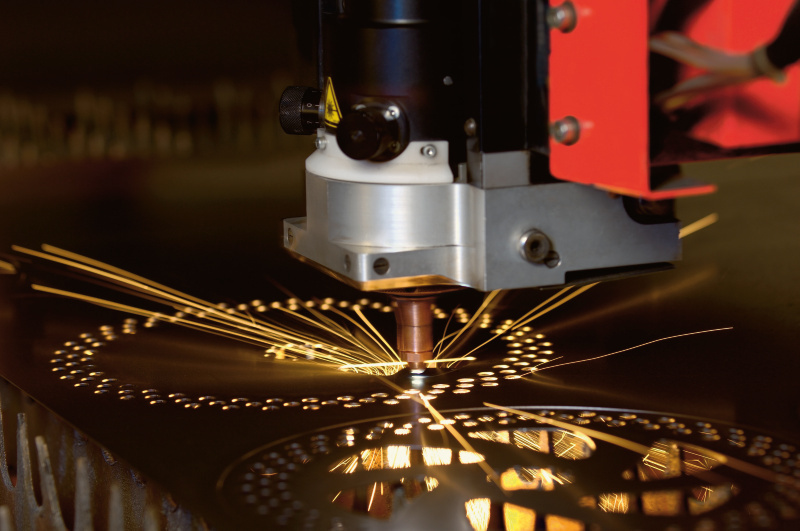 Does your company provide laser cutting services, or other types of industrial services? IndustryNet can help you stand out from the competition. Learn more about our marketing solutions. Related Companies: De Jong Mfg., Inc., JD Laser, Inc., Key Laser Technologies LLC, Merbeth Metal Products, Inc., Multi-Metal & Mfg. Co., Inc., Paxton & Vierling Steel Co., Div. Of Owen Industries, Inc.